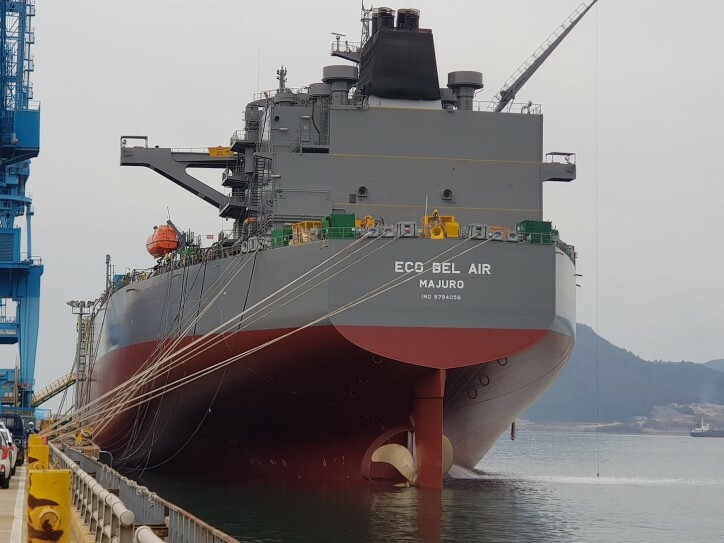 TOP Ships Inc., an international owner and operator of modern, fuel-efficient "ECO" tanker vessels, announced Thursday that the recently delivered scrubber fitted Suezmax tanker M/T Eco Bel Air, constructed at the Hyundai Samho Shipyard in South Korea, commenced its previously announced time charter employment with BP on April 11, 2019. The revenue backlog expected to be generated by this fixture, assuming all options are exercised, is about $47.5 million. For 2019 alone, this charter is expected to increase revenue by $6.6 million. Evangelos Pistiolis, the President, Chief Executive Officer and Director of the Company, said: “We are very happy to have commenced our time charter employment with BP demonstrating once again our very high standards of quality, safety, efficiency and professionalism. Total gross revenue backlog for the fixed charter period of our fleet, from December 31, 2018, stands at about $204 million, without accounting for potential additional income from the profit-sharing arrangements in two of our vessels.